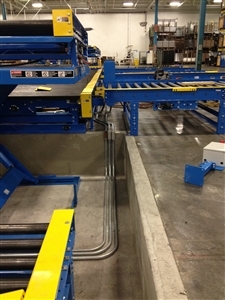 From main power feeders to computer interfaces, Young Electric can supply all of the proper connections for new equipment installations and equipment relocations. Need a “hook up” to an existing machine or new piece of equipment? Our technicians are professionally trained and experienced to read complex electrical schematics while they work closely with you to review the specific load requirements to ensure the equipment can be added to your existing electrical system. If your equipment has PLC controls, that’s not a problem at Young Electric. We’re very proficient with most automated electrical systems. In fact, we frequently receive calls from original equipment manufacturers (OEMs) to help with problems or reprogramming their machines!